Bank statement can be imported automatically via online banking. This is an alternative to importing statements from spreadsheets and is faster and more convenient. 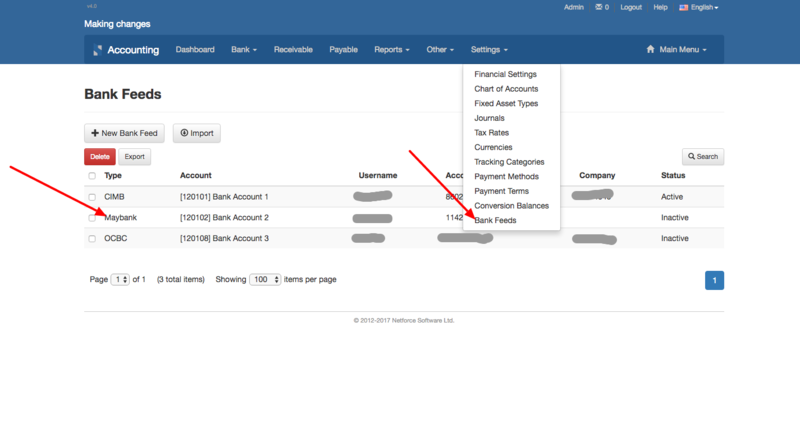 To import statements from a bank feed, go to the Accounting menu and click on "Bank Feeds". 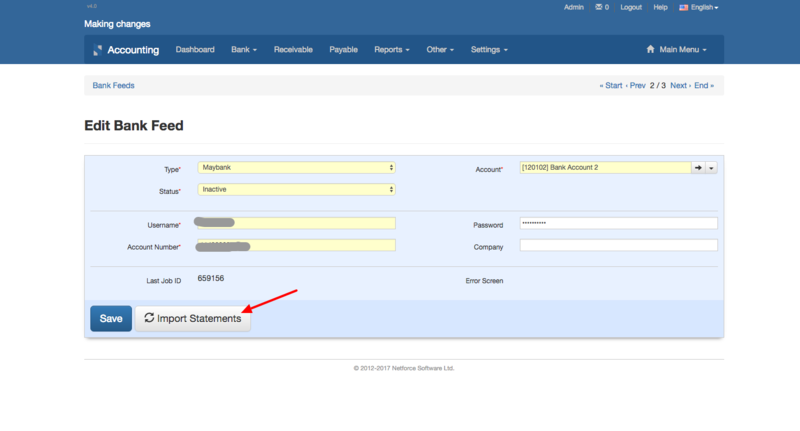 Select the bank feed that you want to use and in the bank feed form, click "Import Statements". The bank feed will connect to your online banking account and automatically update your statements.